Welcome to BCLMA – where leaders in law firm management meet, engage, explore and build their skills. Our members are law firms, or business entities with legal departments who do not sell products or services (other than legal services), and have full-time employees who manage their organization. There are three categories of individual enrolment: Member Firm Representative, Affiliates and Honorary Members. the person who reports directly to the principal administrator or branch administrator and has responsibility for one or more of the organization’s major functional management or administrative areas. Representatives should select the subsections on the enrolment from which they wish to receive communications. Doing so ensures you receive the most relevant information. Start here with the Online Enrolment Form and Map for membership boundaries. The Board of Directors reserves the right to accept and refuse representatives. The Directors may, at any time, request a description of the prospective representative’s duties in their current position or request a copy of their current job description. BCLMA membership fees (or a prorated amount) are non-refundable. The fees are not treated as a monthly subscription. The amount paid is considered an annual fee. Once a member’s annual fees are paid, they are members up to December 31st of that year. An individual who had been employed with Member Firms for more than ten years and has actively participated in BCLMA (at the board, committee, or section level) may be invited by the board of directors to become an honorary member of BCLMA. 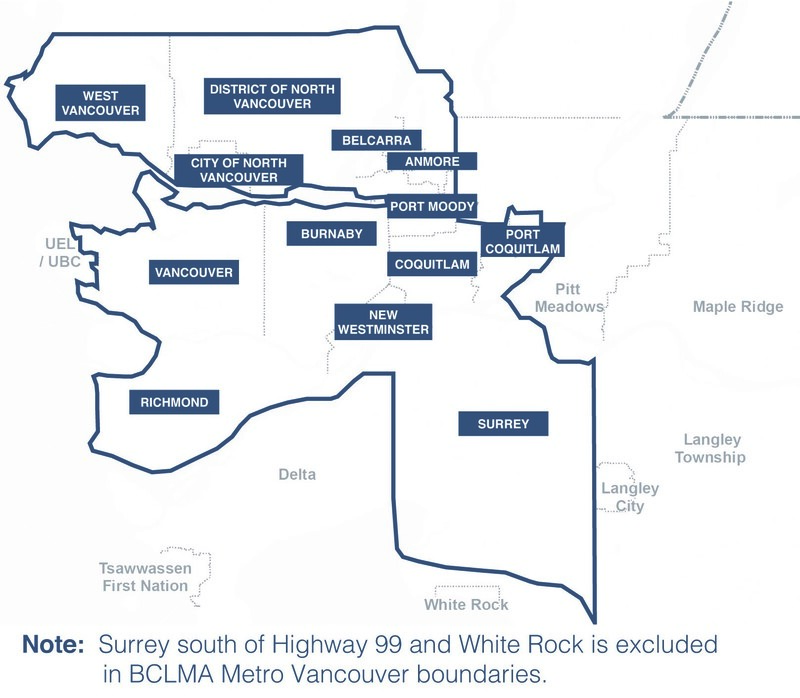 Honorary members have not formal status in the association but may be invited to BCLMA events and may receive the quarterly newsletter. Members may apply or be nominated by the board. Contact Jane at info@bclma.org to register. Individuals who are no longer employed by a member firm can receive a complimentary six month interim affiliate enrolment at their current level, provided they are actively seeking employment with a BCLMA Member Firm, and are not currently working as a legal consultant or vendor. No one at the “INTERIM” level may be a Director or Officer, nor will they have voting rights at the Annual General Meeting. In order to be enrolled as an interim affiliate the applicant must contact the BCLMA Administrator. The Board of Directors reserves the right to refuse applications for interim enrolment for any reason. Contact Jane at info@bclma.org for more information or to register.